This will be a doubles tournament to benefit the Special Olympics through the Law Enforcement Torch Run organization. It will be $50 per team. We will have three divisions: Men’s, Women’s, and Mixed. There will be trophies for 1st, 2nd, & 3rd for all divisions. We will have raffles and 50/50 tickets for sale. If there are any questions please email Daniel Roberts at [email redacted]. This event will be posted on the disc golf scene for registration. Everyone that pre-registers for the tournament will receive a t-shirt. Pre-registration will close July 13th, 2019. Players will be able to register up to the morning of the tournament however a shirt in the proper size will not be guaranteed. All proceeds with benefit the Special Olympics of Michigan. 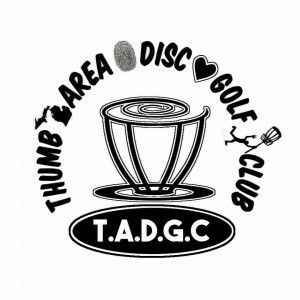 Thumb Area Disc Golf Club is responsible for all refunds/cancelations. - 5:00pm Tournament Starts at 10am. Collect raffle prizes after tournament. - 12:00pm 1 hour lunch will start when first team completes their first round.